Textile and leather waterproofing. Highly effective and long-lasting protection against moisture and oil. 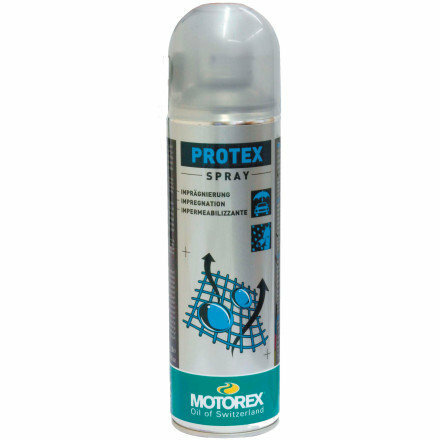 Suitable for leather, textiles and microfibres (e.g. GORE-TEX®), allows the fabric to breathe naturally. Ideal for shoes, motorcycle, ski and bicycle wear, convertible tops and other sport and leisure goods.